The creativity and resilience of the Visayan people in face of calamity will be highlighted in the 29th Negros Trade Fair which starts today, 24th of September, and will end on the 28th of September. It is held at the Glorietta Activity Center in Ayala, Makati City. Its theme for this year is "Smiles Beyond Borders" which promises to bring the finest food, fashion, furniture arts and crafts not only from Negros, but also from Cebu, Masbate, Iloilo, Capiz, Aklan and Antique. The organizers hoped that the fair would boost livelihood in the areas ravaged first by the killer quake and Super Typhoon “Yolanda” last year. 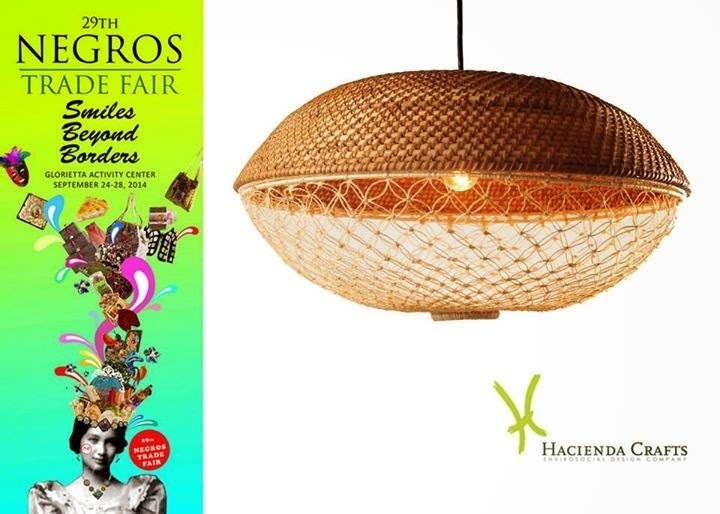 One of the items being showcased is from Hacienda Crafts which uses hand woven baskets from San Remigio, Cebu that now form part of the Macramé Pendant Lamp . You can visit Hacienda Crafts at Booth B4 . The five-day trade fair will also include shows and events. The 29th Negros Trade Fair will be open from 10am to 9pm on Sept. 24, 25, and 28 (Wednesday, Thursday, and Sunday) and from 10am to 10pm on Sept. 26 and 27 (Friday and Saturday). Entrance is free. Bidlisiw which means “beacon” of light will, thus, refer to the institution or individual who exemplifies sterling performance worthy to emulation. The Bidlisiw sa Sugbo Awards for Institution is open to all private institutions/organizations, be they corporations, non-government organizations, civic organizations, people’s organization, church-based organizations, or religious organization which have operated for at least 3 years and have built a track record of dedicated service to uplifting the lives of people and communities in the province of Cebu. The Bidlisiw sa Sugbo Awards for Individuals is open to every Filipino or Cebuano, natural born or naturalized citizen,of good moral character, and at least 3 continuing years of commitment to his/her profession, vocation and service who have made a significant impact on uplifting the lives of people and communities in the province of Cebu. The Province of Cebu invites the public to nominate or endorse a candidate/s or nominee/s by accomplishing the Official Nomination Forms. 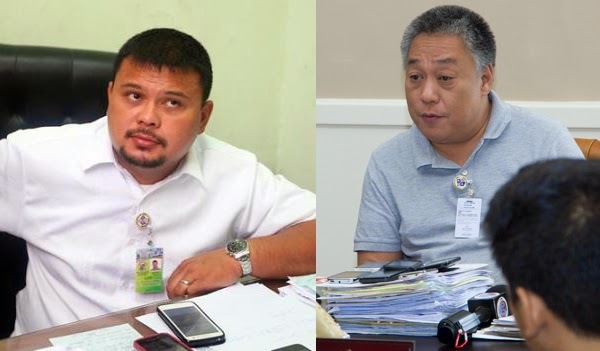 These forms may be downloaded from the Cebu Provincial Government website (www.cebu.gov.ph), and obtained from the Office of the Search & Awards Committee c/o Office of the Provincial Administrator, Cebu Provincial Capitol. Self- nomination shall not be entertained. Nominees will be informed of the Secretariat and will be requested to signify in writing their acceptance of the nomination, all nominees/candidates and/or nominators should submit on a specified deadline all pertinent information, documents and other requirements to support the nomination. Institutions and individuals nominated for the award will undergo a selection process. Through the information obtained from the nominees/candidates and/or nominators, the Search and Awards Committee and the Secretariat will conduct the initial screening, evaluation, profiling and validation. Then a shortlist of nominees and their profiles shall be submitted to the Board of Judges who will deliberate for the final list. The final screening and selection phase will begin as soon after the Search and Awards Committee and/or thru its Secretariat submits to the Board of Judges the short list of nominees. At this stage, the board of judges will review the profiles and documents for further short listing at the semi-finalist level. During this process, the board of judges will meet en banc, deliberate and decide on the process and mechanisms in arriving at the top semi-finalist. The mechanisms may include field validation, face to face interviews, panel interviews, focus group discussions or any other process that will assist the board in arriving at an intelligent decision. The Board of Judges also decides en banc nominees to be given CITATIONS . MEETING WITH THE GOVERNOR and Members of the Search and Awards Committee (added in the process for the governor with the Search and Awards Committee will have prior knowledge of the results are kept confidential and unrevealed until the Awards Nite in December). Once the Board of Judges has confirmed its final choice of AWARDEES, it will present the list to the Governor for his information. Thereafter, the same lists will be presented to the members of the Awards Committee for their information. 1. To send the right signals about the prestige of the awards and citations, and the importance with which the awardee accords the honor as awardee, it is required then that the awardees be physically present to receive his/her award. Otherwise, the awardee may be re-nominated in the succeeding year. 2. In relation to # 1, the letter officially informing the awardees shall mention the condition for the awardee to be physically present to claim/receive the award, and also will provide a part where awardee confirms his/her/its attendance at the awards. 3. Official letter shall also include maximum number of people( Committee suggests 2 guests maximum per awardee) to avoid logistics concerns. 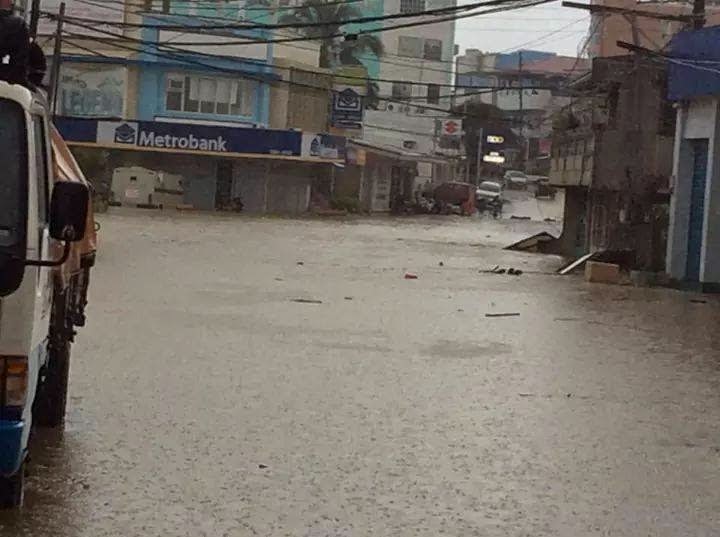 A heavy downpour triggered by Tropical Storm “Mario" which started last Wednesday night until yesterday morning caused flooding and landslides in several areas in Cebu. 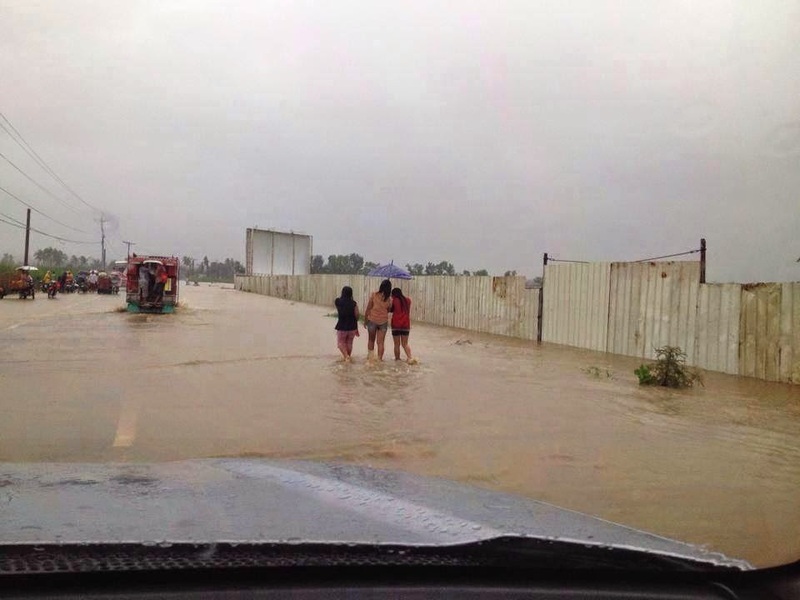 This prompted Cebu Governor Hilario Davide III to cancel classes in all levels in the Province yesterday. 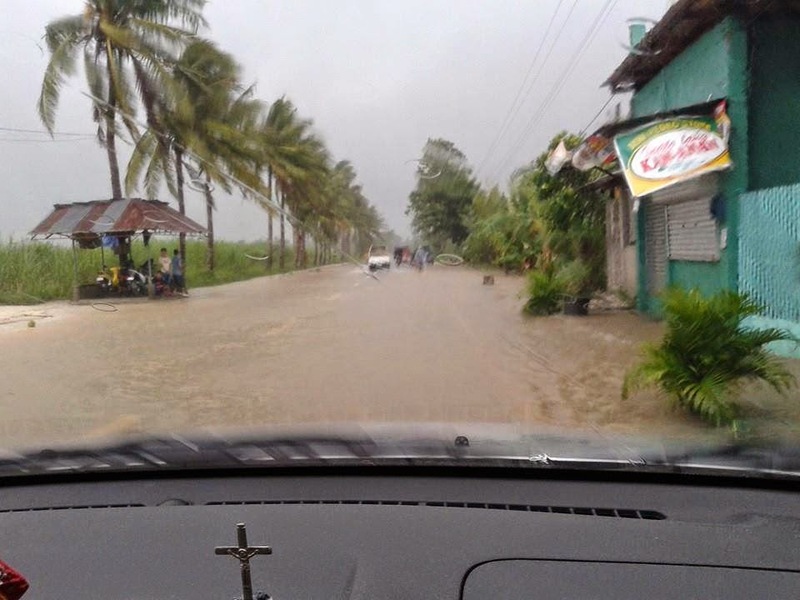 Several areas in Bogo City were flooded. Families were rescued and evacuated to a safe area. 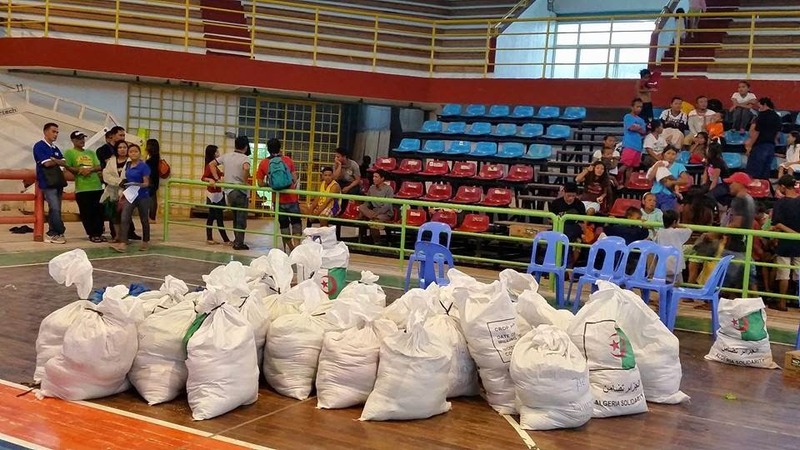 The Freeman reported that more than 200 Bogohanons were evacuated to the city sports complex for safety and around 600 sacks of relief goods were distributed to the affected barangays. Rescued families from Brgy Taytayan (all wet from flood and rain) scrambling for dry clothes. 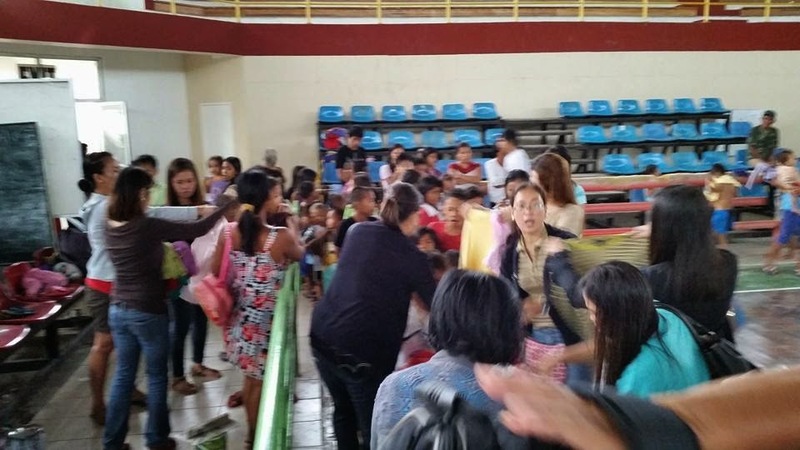 60 people have been evacuated to the Bogo Central School, around 1,300 to the multi-purpose center in Barangay Anonang Sur, and around 300 to the multi-purpose gym in Barangay Malingin. Huge volume of rainwater from mountain barangays flows through the river connecting to the lowland areas. 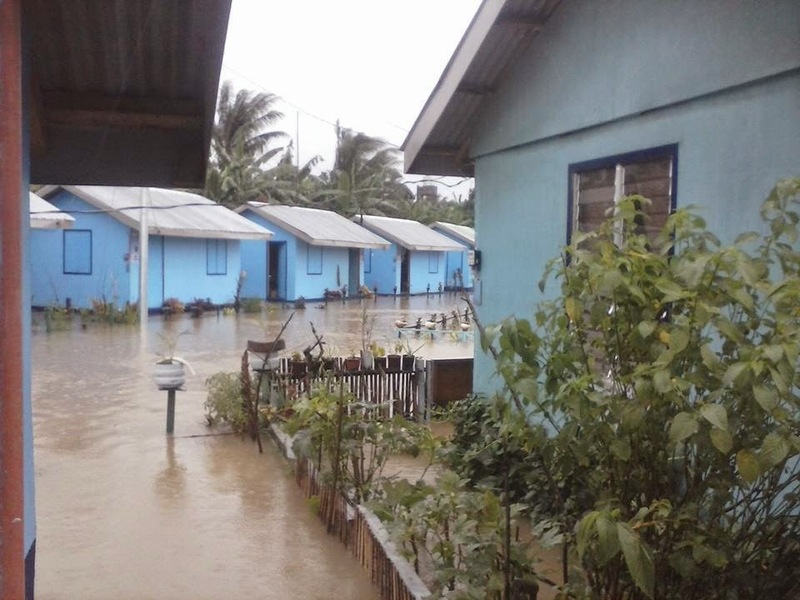 The video below shows a river in Brgy. Malingin. A portion of the Guadalupe Bridge in the city also caved in. 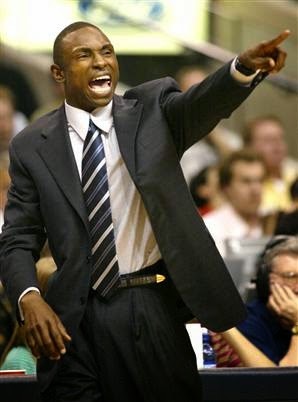 Former NBA player and head coach Avery Johnson, along with Portland Trail Blazers' Robin Lopez and Wesley Matthews, will visit Norther Cebu this Friday(September 12) to help Yolanda-hit areas. 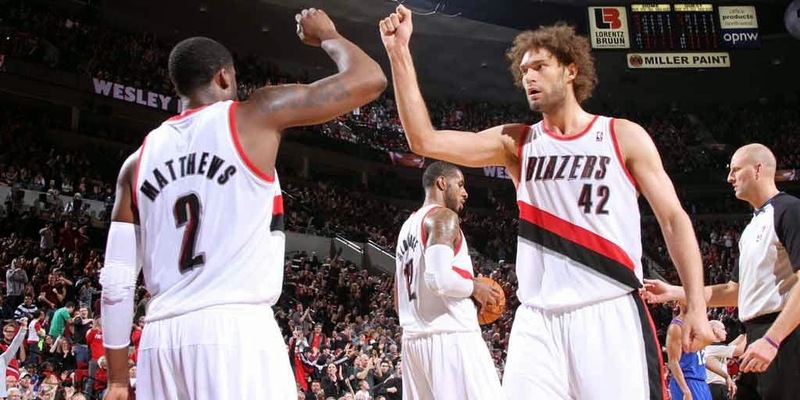 Lopez, Matthews, and Johnson will support the NBA's ongoing commitment to help children and families affected by Typhoon Yolanda, and will visit communities like Compostela. They will also conduct basketball clinics for local children. NBA Cares Family in support of UNICEF, World Vision, Red Cross and other organizations are mobilizing to aid communities and people affected by the super typhoon. The NBA has contributed more than $2.2 million in support of Typhoon Yolanda relief efforts, including a $250,000 donation to World Vision in November by the NBA and the National Basketball Players Association. The Los Angeles Lakers also contributed $150,000 that was accepted by the Jr. NBA Philippines All-Stars when they visited LA as part of their NBA Experience trip last November 2013. NBA legend Derrick Alston and WNBA legend Allison Feaster visited Leyte and Cebu City last August to donate books and basketballs, and participated in school construction and tree-planting activities. Mechanical engineer Duncan Kirton-Darling, from Walker in Newcastle, willwork on a disaster relief project in devastated parts of the Philippines. The 31-year-old will work around the clock fixing schools and care centres in parts of the Philippines wrecked by the devastating Typhoon Haiyan. 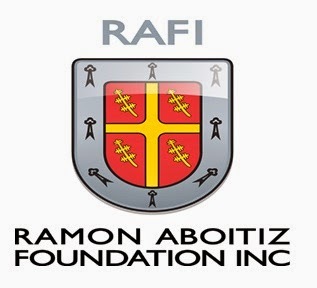 He will be spending ten weeks in the City of Bogo and San Remigio on the disaster relief project, which will also involve looking after children while their parents help with the recovery efforts. 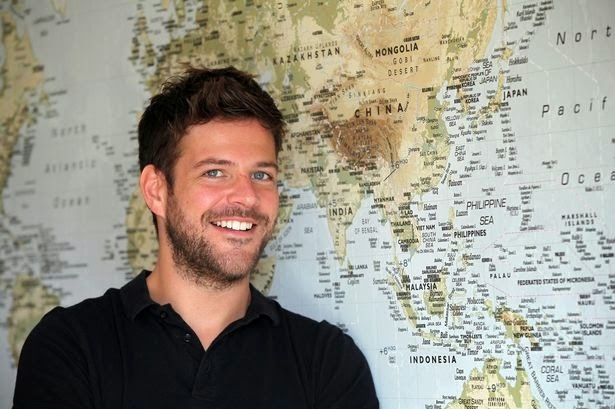 Duncan will be working alongside other volunteers from Projects Abroad when he flies out in late September. Raymund Martin Sia Li, a graduate of the Cebu Institute of Medicine (CIM), has topped the Physician Licensure Examination held last August 2014. He garnered a rating of 89.58 percent and shared the number one spot with Eric Royd Fanco Talavera of University of Santo Tomas (UST). Another CIM graduate, Debbie Rose Uy Tanengsy, got the fifth spot with a rating of 89.17 percent. Tanengsy was also among the topnotchers in the July 2009 nursing licensure examination. The PRC said 2,218 of the 2,730 examinees passed the exam. November 8, 2013, a day when people devastated by TyphoonYolanda thought it was all darkness. The storm broke lives, hearts, houses and businesses. It was a picture where people didn't know where to start rebuilding their home and their livelihood. "Difficult battles are given to the strongest soldiers"
Yes, we were hit by that super Typhoon Yolanda but we have that strong faith to withstand to rise up again, very persistent no matter what challenges comes upon. 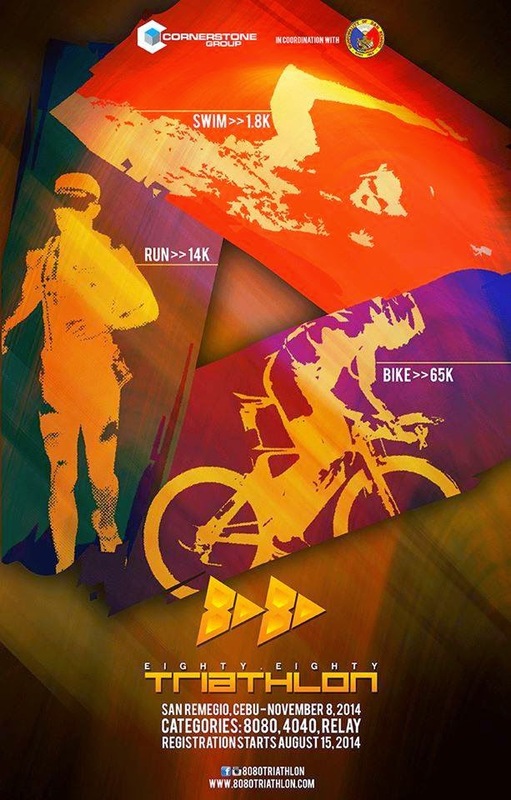 Fast forward one year on November 08, 2014, Municipality of San Remigio in coordination with the Cornerstone Group will host a TRIATHLON event and party highlighting the fact that our town is back to business and better than ever! Once again, one of the jewels of Cebu tourism and an upcoming sports travel destination in Northern Cebu. Same as Triathletes we, from San Remigio are known for our strength and our endurance to sustain even the most difficult times and trials. Our place is now a picture of revitalized San Remigio! Nine months after Typhoon Yolanda hit the northern part of Cebu and devastated thousands of homes, residents of the Municipality of Daanbantayan remained strong and showed their resilience. They gave thanks for their partial recovery through their Haladaya Festival which is staged every 30th of August in honor of the town's patron St. Rose of Lima. “United with the Almighty God’s unceasing guidance and blessing, the Kandayan-ons have shown their natural resiliency and extraordinary ability to rise from the rubbles of Yolanda as we never wavered in our belief that we can survive, and not just survive, but be better than we were before,” said Mayor Augusto D. Corro in his fiesta message. “Unity and transparency for progress and development through authentic leadership” was the theme for this year’s annual fiesta celebration. 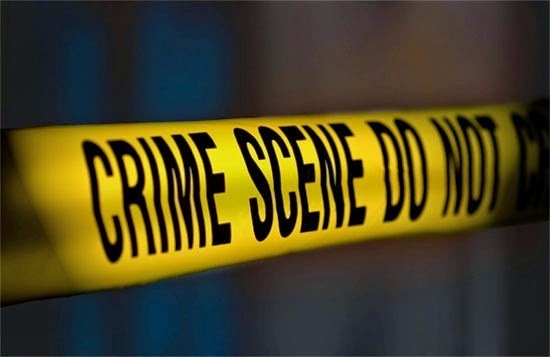 According to the provincial government's site, around 3,000 spectators flocked at the Daanbantayan grand stand to witness the ritual showdown between five contingents. Tribu Kasikas sa Kandaya was declared the Grand Champion, Tribu Calaag-Ta sa Kandaya ranked second while Pundok sa mga Kabatan-onang Kandayanon ranked third. Masidlakon Kandayan-on and Pundok sa Kandayan-ong Bacamaba came in fourth and fifth places, respectively. 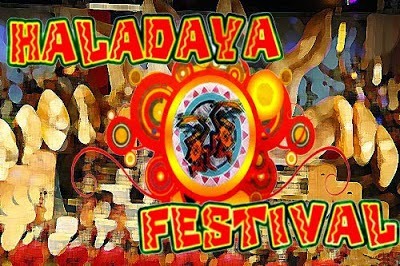 Haladaya means an offering to Datu Daya, the legendary chieftain of the town. It is a celebration of the town’s victory over the oppressive Moro pirates. The festival tells about the heroism of Datu Daya and showcases the glorious past of the place. HOW do we measure a city’s success? 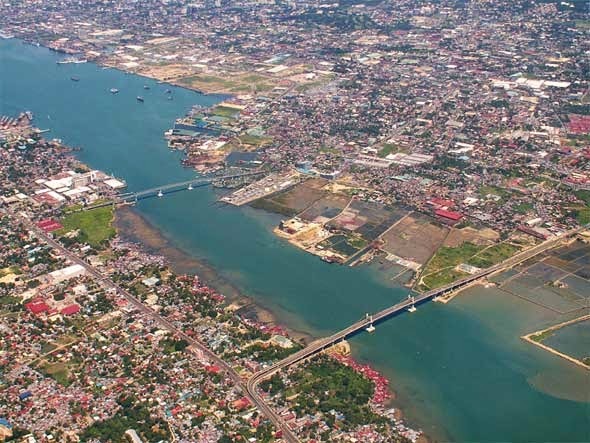 Cebu’s newest cities—Bogo, Carcar and Naga—are in a good position to face this question squarely, before they have to bear the problems that older and larger cities now face, including floods and heavy traffic. One measurement favored by some local officials is revenue, which tends to increase after a town becomes a city. In his State of the City Address last Monday, Mayor Valdemar Chiong reported that the City of Naga’s revenues grew by P414 million between 2007 and 2013. Bogo and Carcar, which also became cities in 2007, can also report higher revenues since the change. From 2007 to 2012, Bogo’s revenues increased by P178 million, while those of Carcar grew by P215.5 million, according to the audit commission. But sound financial statements aren’t the only measure of a city’s health. Mayor Chiong acknowledged as much, when he said that the City needs to create an Environmental Management Office to take charge of conservation, pollution prevention and the safety of the city’s water supply. There is a need to rethink the way we assess our cities, and this assessment must incorporate how well each city works with surrounding communities in solving problems that respect no boundaries.